There are primarily 4 ways to add variety and avoid overtraining in your workouts. Additional Ones - Apply Advanced Training Principles, Periodization, Interval Training, Cross Training or other training methods for shorter periods like Dumbbell Exercises alone, Kettlebell Training or Bodyweight Exercises. Now lets see each in brief and discover how you can apply these techniques to your workouts, one by one. This is my favorite. Constantly performing same exercises week in and week out will make your neuromuscular system adapt to the training and results will start to get stagnant. 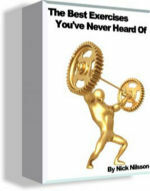 Its time to create new neural grooves and changing exercises is an excellent way to do just that. There are other advantages to changing exercises too. As the muscles have different points of origin, hitting the muscles from different angles results in overall muscle development. Incline press for flat bench press. Behind the neck forearm curls for typical forearm curls. Use your imagination to add different exercises for the ones you always do. Be different once in a while. Adding Low Intensity in between High Intensity ones also is a good way to avoid overtraining and give your muscles a break. This technique is good for people who train each body part twice a week. I would rather take a week off in case I feel I need a break since I train each body part only once a week and alternating heavy and light days never made sense to me. You can try it. If you like it, then you can use it! You can change the training frequency anywhere between 2-5 days per week and train your entire body 1-2 times a week. This way you can train on 3 days for a few weeks and then increase frequency to 4 and 5 days and then reduce back to 2 days a week. In this way you can keep the training Intensity high and yet provide sufficient rest to your body. In this method you change the training frequency from 20 minutes to 75 minutes of training over weeks and avoid overtraining. This again adds to variation in your training loads and help you consistently vary your workouts. and take your workouts to next level. Read here about Sean Nalewanyj's inspiring story and see for yourself if you can be the next testimonial. How to Select a Gym for you. Major Muscle Groups and Exercises. 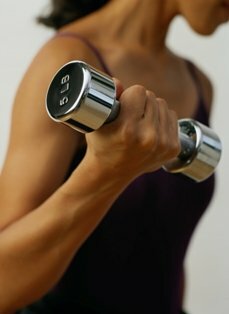 Ideal Weight Training Frequency, sets, reps and FAQs. How to grip Weight Bars Correctly for better lifts. How to find the correct Lifting Speed. How to Spot in Weight Training Room. When to Increase/Decrease Training Loads. Back to Weight Training Homepage.